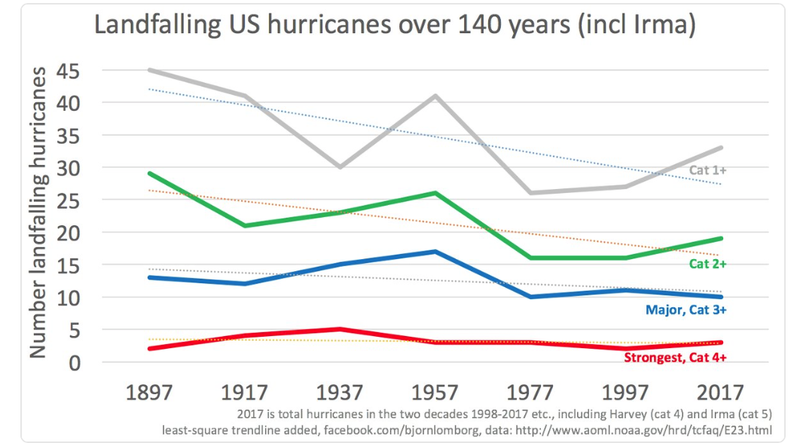 There is a lot of nonsense floating around this morning trying to assert that Harvey and Irma are due to global warming. We just got finished with a 12 year drought of major hurricanes in the United States. 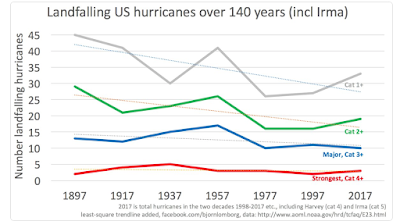 Below is a graph which demonstrates hurricanes are not getting more frequent.